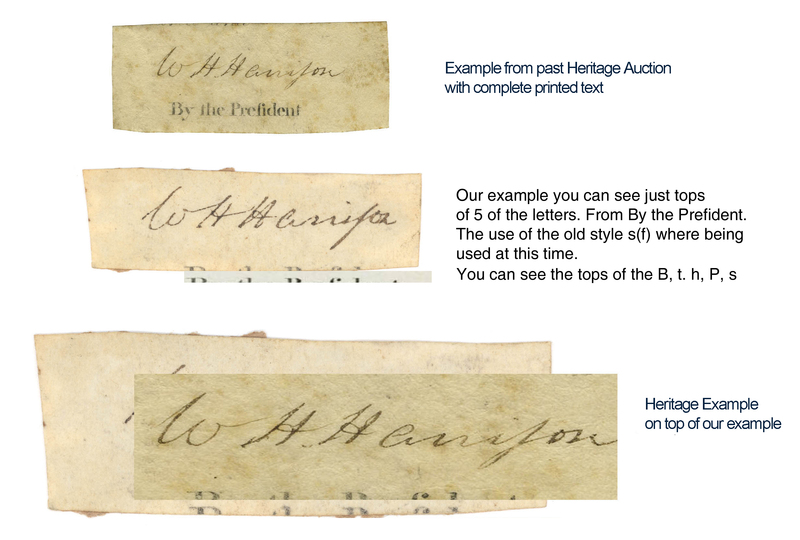 Incredibly Rare William Henry Harrison signature as president. "W. H. Harrison", from a vellum document, with the the top part of some of the letters from the printed legend "By the President" appearing beneath his name. The sheet of velum measures 2 inches wide by .75 inches high. 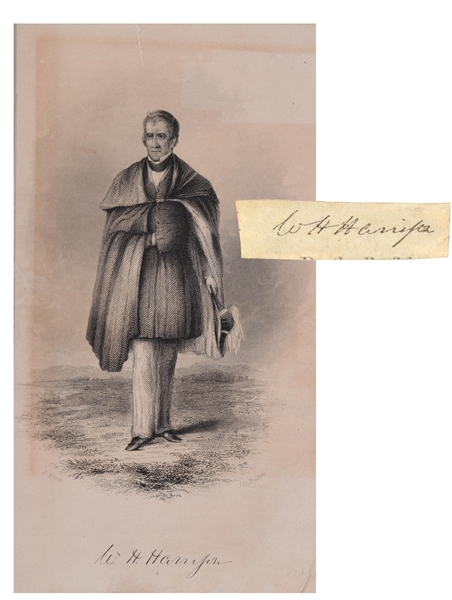 William Henry Harrison was in office for only one month in 1841, and is the rarest of all signatures to obtain as President. A Great example of this presidential Rarity! This signature came from a ships papers or other presidential document during his very short term as president. The velum has been examined by the top paper and document archivist, past head conservator of the Folger Libary for 37 years. Comes with a detailed letter talking about the test performed on this rare piece. An affordable example to complete a collection of documents and signatures signed as president. Full documents can go upwards of $50,000 -$80,000.